Lush is highly regarded as the makers of some of the best bath bomb recipes. This recipe will teach you how to make bath bombs with avocado and essential oils just like the AvoBath bath bombs at Lush! The official Lush bath bomb recipe is a little different (and of course top secret!). We do know that they use avocado and extra virgin olive oil along with bergamot and lemongrass scent. 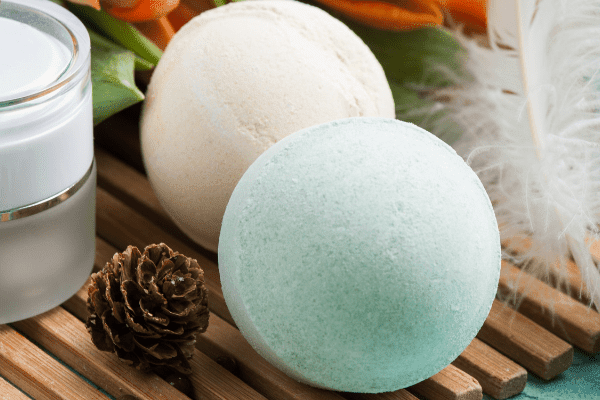 These homemade bath bombs use avacado along with coconut oil and essential oils that still capture the same scent profile as the Lush AvoBath recipe. Rumor has it that the real Lush bath bomb recipe uses rosewood essential oil. Even at my favorite provider of essential oils for bath bombs, it's really expensive! To make our DIY Lush bath bomb recipe more affordable, we use the Love essential oil blend. It still uses bergamot and other yummy citrus oils. We also add in lemongrass oil for that fresh, avo bath scent. I start with lower amounts of essential oils in my DIY bath bombs so that they are safe for everybody. If you love a really strong scent to your homemade bath bombs and you know you don't have sensitive skin, go ahead and add more! Sniff and adjust as you go! Looking for a Lush inspired bath bomb recipe that's perfect for your kids? Learning how to make bath bombs isn't hard to do and the results are magical! Let me show you how to make a fun bath fizzy that smells great and is perfect for gift giving. I had no idea when I first wrote about the recycled glass water bottle project I made as a gift for my sister in 2013, that it would be so popular! To date, more than 265,000 people have come to my website to read this tutorial! WOW! I'm thrilled that so many of you have loved my DIY water bottle project. This tutorial will allow you to transform an empty Voss Water glass bottle into a beautiful work of art. 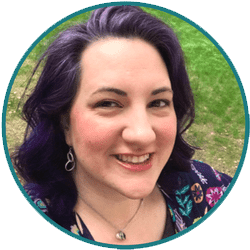 I will teach you how to take a glass water bottle that would otherwise be discarded and upgrade it into a beautiful, etched glass water bottle that can be used over and over and over again! 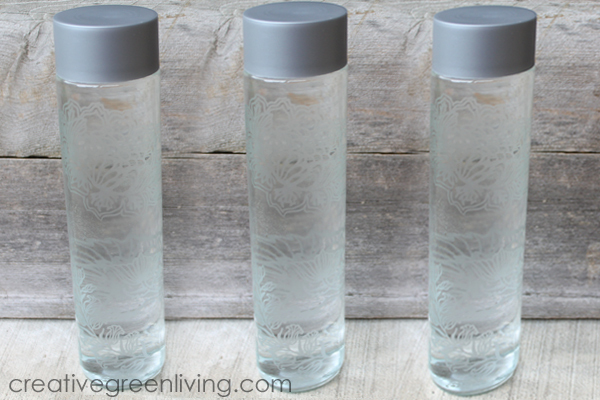 This etched glass water bottle makes a great gift. My DIY water bottle project is also infinitely customizable to make it just right for your recipient. If you've been near a Lush store, you have probably figured out that bath bombs are all the rage. These giant fizzing balls release ingredients that feel nice on your skin and can have other therapeutic properties. 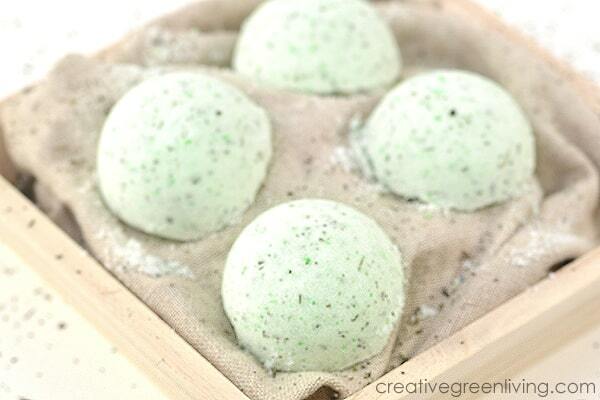 This particular bath bomb recipe features green tea along with lemongrass and lavender essential oils. These three ingredients together are great for helping you relax achy muscles especially if you have had a hard day gardening or working out. Just draw a hot bath, add your bath bomb and relax. 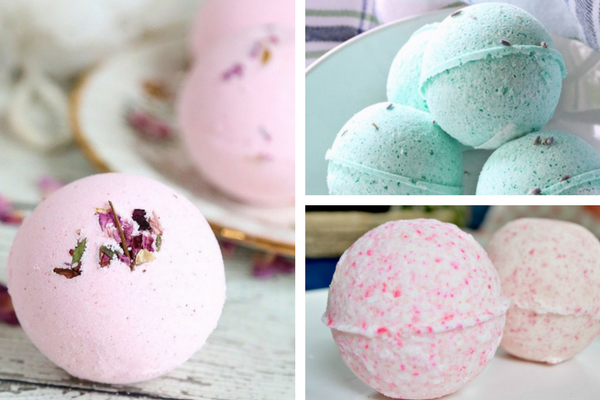 The Best Bath Bombs - 17+ DIY Bath Bombs You Can Make! Shopping links in this post may be affiliate links. If you are looking for the best bath bomb recipes, you are in the right place! If you are addicted to Lush bath bombs, why not save some money and learn how to make bath bombs at home? Most of these bath bomb recipes make multiple bath bombs, so keep some for yourself and give some as gifts! 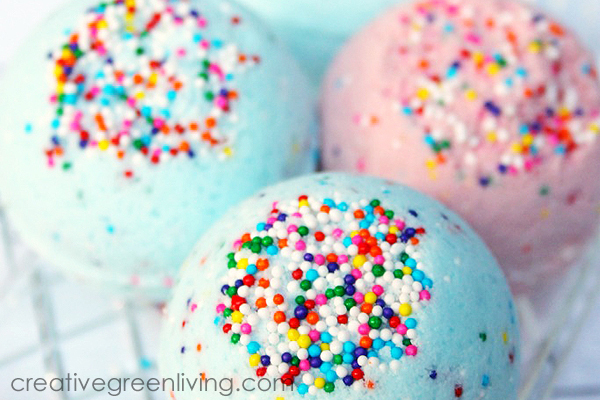 Bath bombs make an easy DIY gift idea that everyone loves! Who wouldn't love a little bath fizzy that you can drop in your bath tub to make bubbles, soothe your skin and make you smell good? 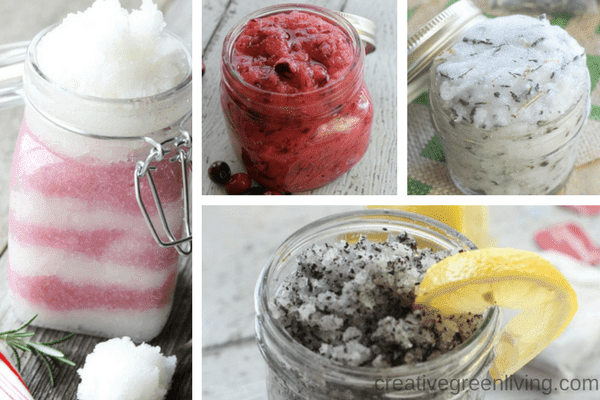 The Best Homemade Body Scrub Recipes to Make at Home! Have you been wanting to learn how to make sugar scrub? It's so easy to make a great homemade sugar scrub with ingredients you already have in your cabinet. Making your own scrubs also lets you avoid the sketchy ingredients in some store bought body care products (parabens and phthalates and synthetic fragrances, oh my!). Try making your own DIY sugar scrub, salt scrub or coffee scrub with this collection of homemade recipes. Or try all three! Body scrubs are super easy to make and make great gifts. I've collected more than 20 tried-and-true body scrub recipes from my favorite bloggers to share with you here - including my own peppermint sugar scrub recipe that went viral last Christmas! If you are looking for high quality essential oils to use in your scrubs, be sure to check out Rocky Mountain Oils - their oils are high quality, reasonably priced and you always get free shipping (even if you just buy one bottle!). I also love that they release the GCMS test results for every batch of oil they produce - this is something that DoTerra and YoungLiving consider proprietary information! But now what you came here for! Making DIY body scrubs like this yummy cinnamon sugar and coffee scrub are a great way to energize at the start of your day. Making this homemade sugar scrub means you can avoid sketchy ingredients that are often in commercially produced scrubs like artificial fragrance, parabens, phthalates, petroleum based ingredients and more. The coconut sugar used in the scrub lends a toasty, caramelized scent while the coffee helps wake you up. 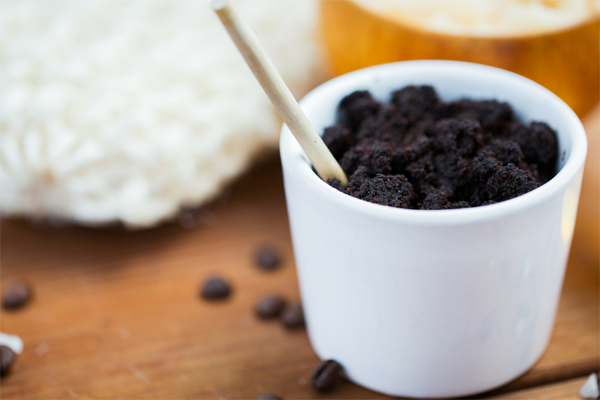 Caffeine is known to be great for your skin as well and this coffee scrub is a great way to get it! The sugar and coffee work together to gently exfoliate your skin while the coconut oil leaves your skin feeling soft. Overall, this homemade body scrub will leave you feeling energized and your skin will feel pampered as you get ready to take on your day. This sugar scrub makes a great gift as well - maybe even add an "I like you a latte" tag for a little punny humor. Rae Dunn pottery is taking over the farmhouse look with the tall skinny black letters and white ceramic backdrops. This simple Rae Dunn inspired bowl lets you try your hand at making simple pottery with clay and the the black skinny Rae Dunn style font everyone is crazy over. 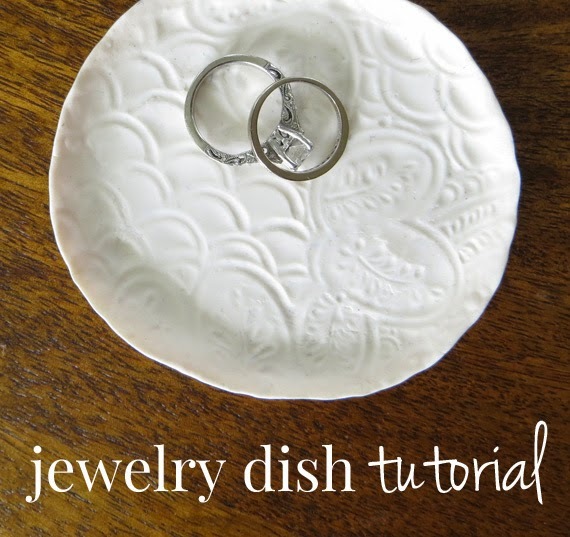 This DIY ring dish is a nice thing to have on the nightstand or next to the kitchen sink...the place where rings are removed. The best way to keep track of them is to have a place for them. 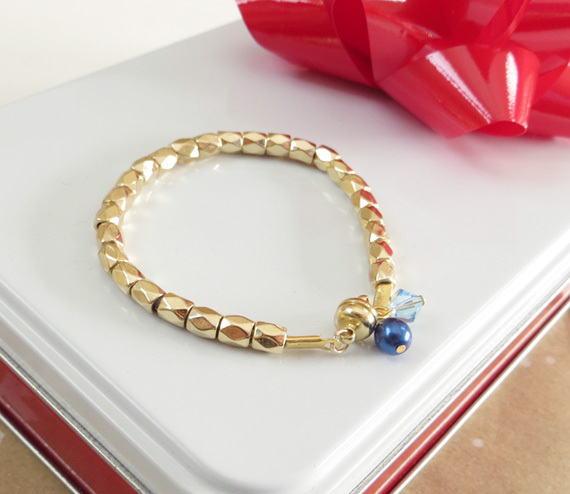 This copycat Rae Dunn dish would make a perfect gift for any jewelry wearing woman in your life! This knock off DIY version that can be made quickly and cheaply - no running all over town searching for Rae Dunn Collection dishes needed! I also think it would be perfect for a country style wedding! Wouldn't it be fun to have your ring bearer carry your rings down the aisle in this perfect little Rae Dunn style dish? Then you can keep it in your home and always be reminded of your big day. For more inexpensive DIY gifts and ideas, be sure to visit me over at Doodle Craft -but for now let's make this dish! If you want to learn how to make sugar scrub, you're in the right place! 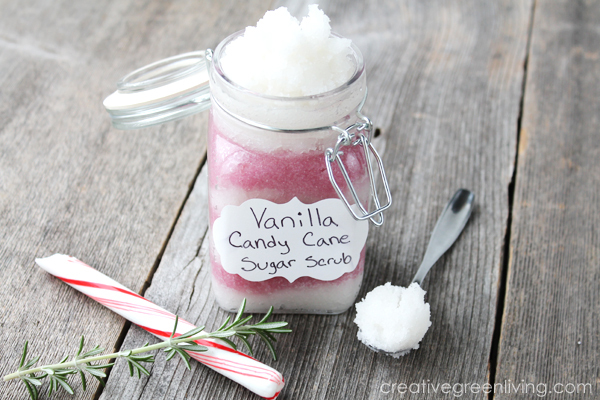 This peppermint sugar scrub recipe combines vanilla and peppermint essential oils to get a yummy smelling scrub that you layer to get a pretty candy cane effect - perfect for gift giving! I love giving healthy personal care products for quick and easy Christmas gifts. Using staples that you already have in your kitchen and some yummy essential oils, you can create a great peppermint sugar scrub that will exfoliate dead skin and smell delicious at the same time! One of the best parts about this project is that you do not have to be crafty to pull it off. To make a delightful peppermint scrub, start with an organic peppermint oil and combine it with sugar and coconut oil to make an awesome sugar scrub. I love using mine to exfoliate my whole body in the shower or to scrub dirt off my hands after I have been in the garden. Update: This recipe was originally created by using Rocky Mountain Oils' "Blend of Vanilla" and "candy cane" oils. Due to shortages in the worldwide vanilla crop, vanilla essential oil is in short supply and RMO is no longer carrying it. This recipe was updated in 2018 to reflect oils that are currently available on the market. 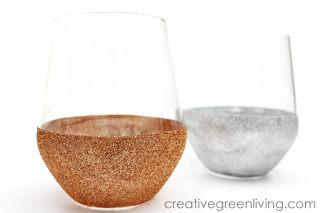 These DIY glitter wine glasses are perfect for adding a bit of sparkle to your holiday gatherings. My DIY glitter mugs are one of my most popular projects ever and people have been asking me if the same technique works for wine glasses and it does! It's important to keep in mind the 30 day cure time for these glasses so if you want them for Christmas, be sure to get started now so that they have time to cure and become totally water proof and top rack dishwasher safe. If you need a way to add some green to the inside of your home, succulents are a great way to do it! Make these adorable planters out of recycled cans, burlap and lace and in just a few minutes you'll be ready with your own console table-worthy creation! Costa Farms partnered with me on this post and provided these great succulents from their desert escape collection. Look for Costa Farms succulents at your local Home Depot and Lowe's stores. Nothing is worse that pouring your heart and time into making a special DIY gift and then finding out the recipient doesn't love it as much as you do! 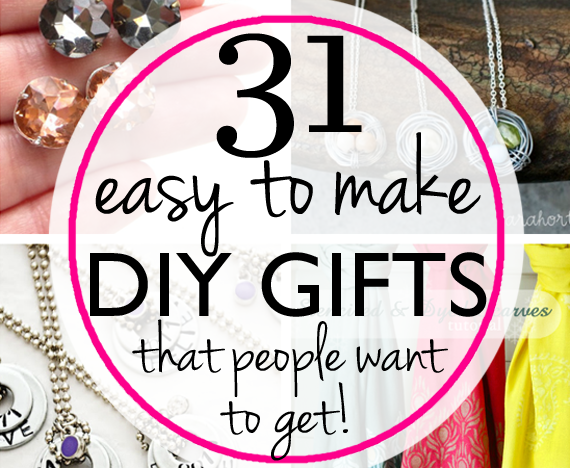 Save yourself the heartache and whip up gifts that have nearly universal appeal. 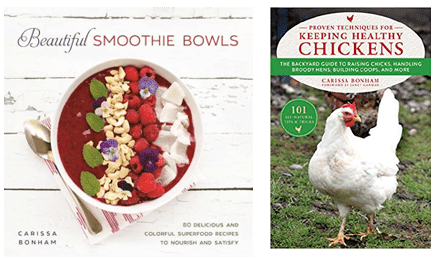 Of course, know your audience - the dishwasher safe glitter mugs may not be the best pick for your dad - but these gifts have been tried and tested by Pinterest readers and blog audiences alike. These are the hot DIY ideas from Pinterest that your friends actually want you to make for them! Hi, everybody! I'm Paige from Little Nostalgia and I never met a piece of jewelry I didn't like. Sparkles are my siren song. The downside of this fixation is the hoard I've collected over the years and how it manages to end up all over the house. I'm careful about not getting my jewelry dirty or wet, so I realized I needed some little dishes to plop things into when I'm, say, making a big plate of nachos before binge-watching Mad Men. Because let's be real, am I going to put my rings away every single time I take them off? Nope! It's time for a jewelry dish (or several) to make life easier. 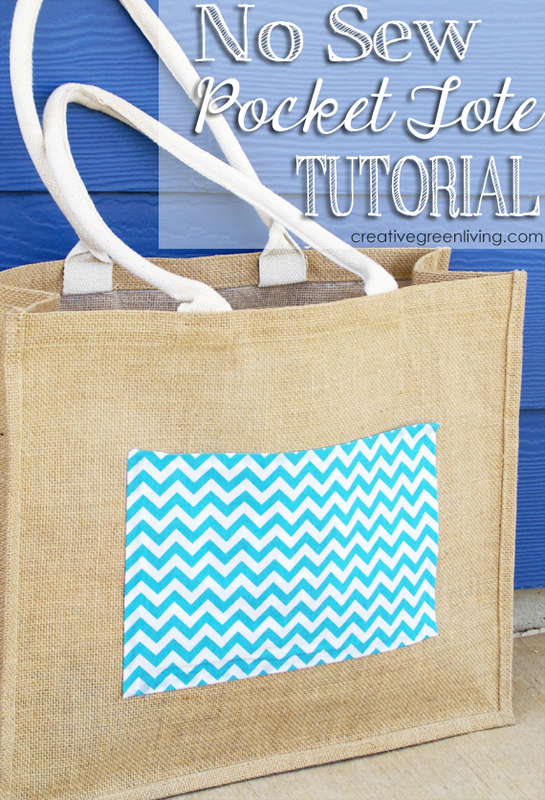 Here's how you can make one for yourself or as a gift. I love glitter - and judging by the popularity of my dishwasher safe glitter mug tutorial, I'm not the only one! 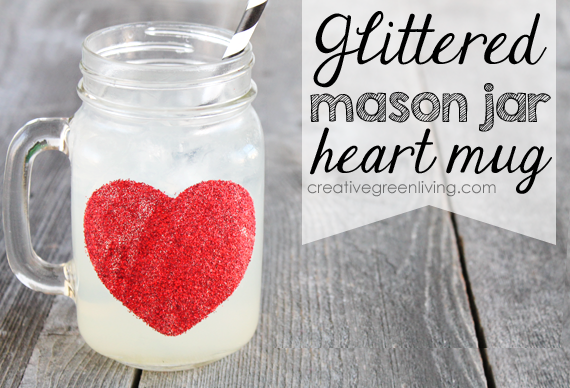 I wanted to make something a little special for Valentine's Day and decided to use a similar technique to whip up some extra fancy glitter mason jar mugs. 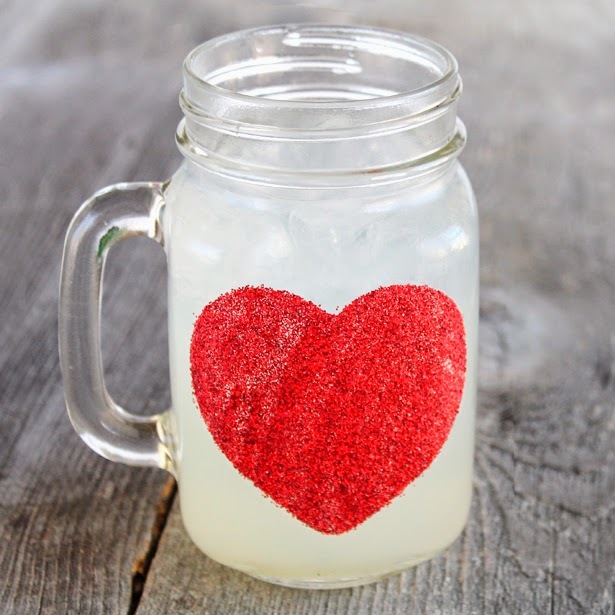 Who wouldn't feel special sipping from their very own sparkly heart jar? This post is brought to you by Dremel. 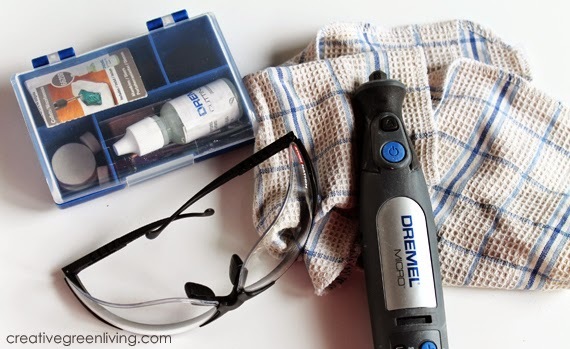 Have you ever used a Dremel rotary tool in your crafting? I'll admit that I've been coveting one for a while and was so thrilled to be sent one to play with! I'm actually glad I didn't get one sooner so that I could have the new Dremel Micro 8050. The Micro 8050 is the most “brilliantly powerful” and precise cordless rotary tool that Dremel has ever produced. The Micro 8050 can cut, carve, engrave, sand, grind, sharpen, clean and polish—just like a traditional Dremel rotary tool but it's got an easy to hold grip that's similar to holding a pencil AND it has a small light that lights up the spot you're drilling. Awesome! Why have I always wanted a Dremel rotary tool you ask? To drill holes in sea glass and rocks! 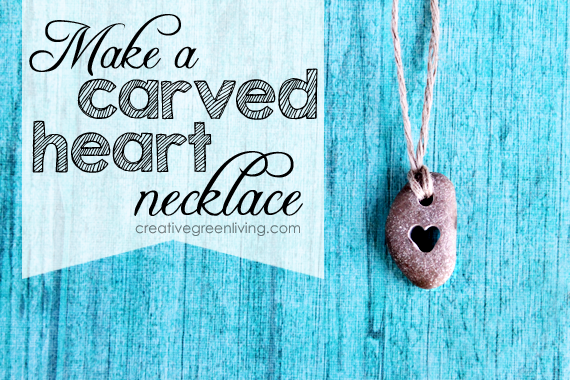 So, of course, that's what I did - and I made this cute drilled heart necklace. It's actually super easy to make - it just takes a bit of time to drill a hole all the way through a rock. A huge thanks to my SNAP conference roomie, Danielle from Busy Mom's Helper for taking pictures of her tote for me! One of the other things I noticed when I bought it, though, was that it had a huge ULTA logo across it. Nothing against Ulta....I just didn't want to carry around a huge branded tote (and I guessed my roommates weren't going to want to either). So I devised a plan to cover the logo with a large pocket. I was originally going to sew the pocket on but I was running out of time so I used my trusty high temp glue gun instead - and it worked really well! The high temp glue gun melts the glue enough that it gets into the pores of the fabric to really help it bond and create a sturdy seam without sewing! Fabric scrap (get a quarter yard if buying new fabric) - exact dimensions needed will vary by tote but I used a 7.5" x 11.5" piece. 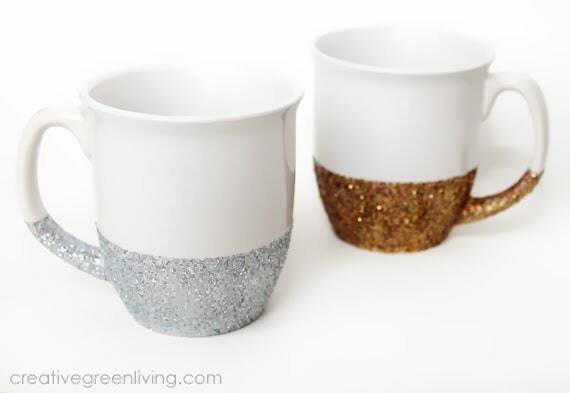 I first made these DIY glitter mugs for my mom who LOVES sparkles. She had just moved into a new home and needed a housewarming present. These mugs are easy to make and the best part is: they are dishwasher safe! 've gotten great results using Martha Stewart glitter, Recollections glitter from Michael's and even dollar store glitter. Just be sure to use Martha Stewart decoupage medium OR Dishwasher Safe Mod Podge -this is the only way to make them dishwasher safe! Did you want to learn how to glitter wine glasses instead? Get that tutorial here! I have a special place in my heart for things made out of glass - it's durable, functional and non-toxic. 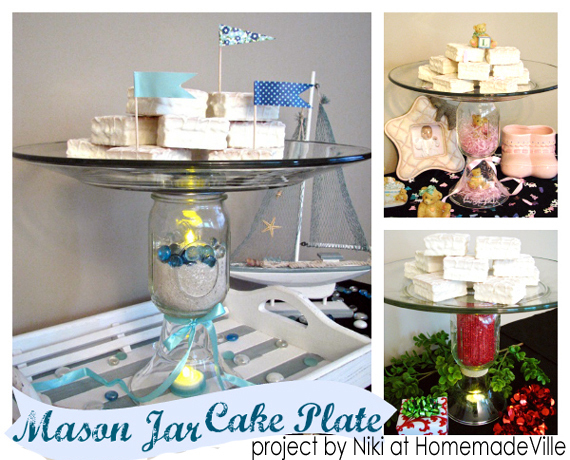 Niki from HomeMadeville recently made a great cake plate using a mason jar. Which is pretty creative on its own, but what I love about this project is how versatile it is! She shows six different ways to style this cake plate by using different jar filler over at HomeMadeville. Be sure to check her out to get your creative juices flowing. Slowly but surely, the command center I've been working on since January is coming together. So far, I've shown you my personalized mail boxes and a family monogram. 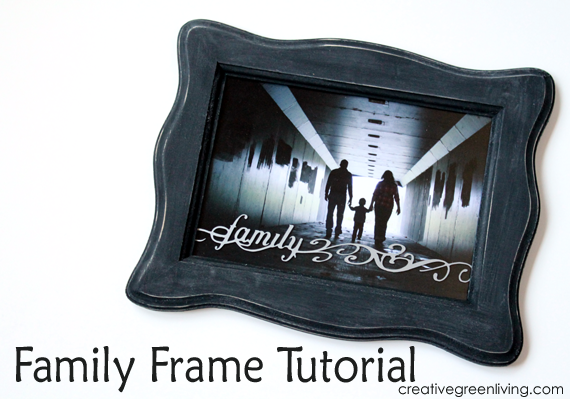 This family frame is one of the last things I need. It only cost a couple dollars and I'm really happy with how it turned out. *A note about cartridges: Parts of my family / swirl graphic combination come from all three cartridges listed. If you don't already happen to have them, you could get a similar look by just purchasing the Best Images of 2008 cartridge which has the "family" graphic that I used as well as some different swirl shapes.